July has disappeared in a blink of an eye and my boys go to back to school in less than two weeks. Where has the summer gone!??!? No finishes to report. But I am okay with that. Since my I Need Me post, I am feeling a bit more settled and balanced. I am telling myself it is okay not to have everything done. But check back in a week when I am in the midst of back to school frenzy! I have to admit. I am pretty stoked about this project. My partner didn't have many photos in her Flickr and does not have a blog, therefore, making it rather difficult to find her style. She didn't have any special requests...so I am having a little fun. I am on the brink of finishing up...and I have to send it out soon...but I am not pressuring myself. Just enjoying the process! A class, not a project. But in the end, I know that a project will result from it! As part of finding me, I have decided to take a big leap and take some classes on Craftsy. 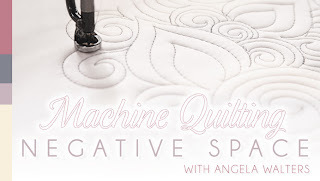 I accidentally fell into Angela Walter's "Machine Quilting Negative Space" through a newsletter. After I followed it and decided to enroll right there and then, I keep seeing ads for it all over the place. I knew it was fate. Why am I taking a class? 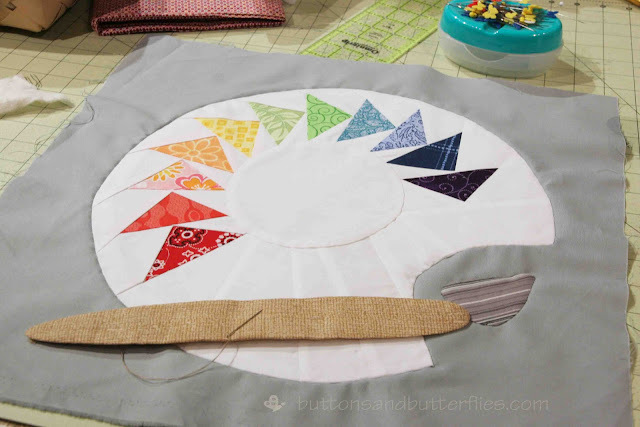 I think that even the most veteran quilters would say that there is always something new to learn, some technique to master, and hey, online interaction....uummm...yes, please!!! My favorite part? There is no pressure to finish the class in a allotted time. I can do it whenever I can!!! 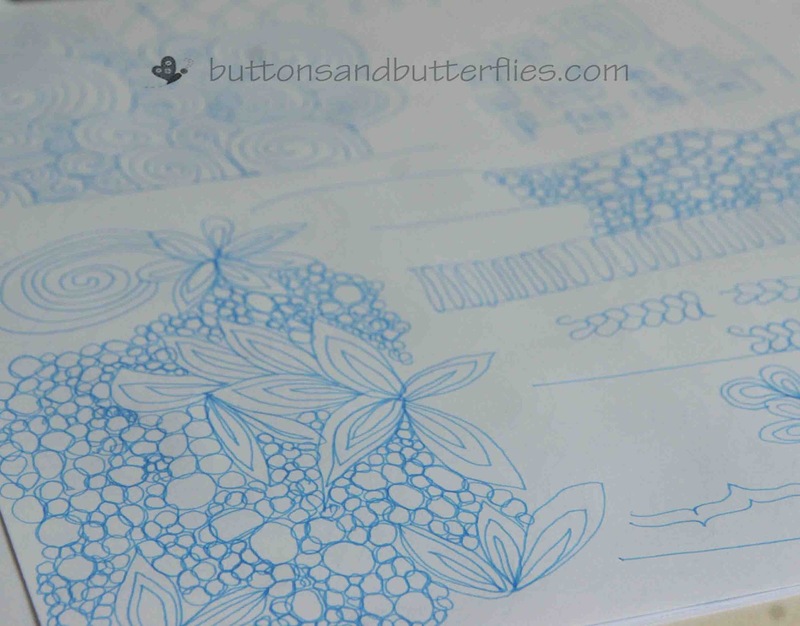 I have watched four classes and I am in the doodling....er *cough* um...excuse me...SKETCHING stage . Angela is easy to listen and seems to answer questions pretty promptly. I really love her peronality and am EXTREMELY excited to start moving beyond loops and meandering on Ole Betsy. With the amount of investment we have made in her, I really want to use as best as I should and can! And if you can tell from above...I cannot stop doodling. How convenient that I can use my new skill for my latest project? Last month's Goals? I threw them out the window. I am starting fresh. 2. Sew some gifts for a friend that I promised to make her months ago. 3. Work on my Christmas quilts. 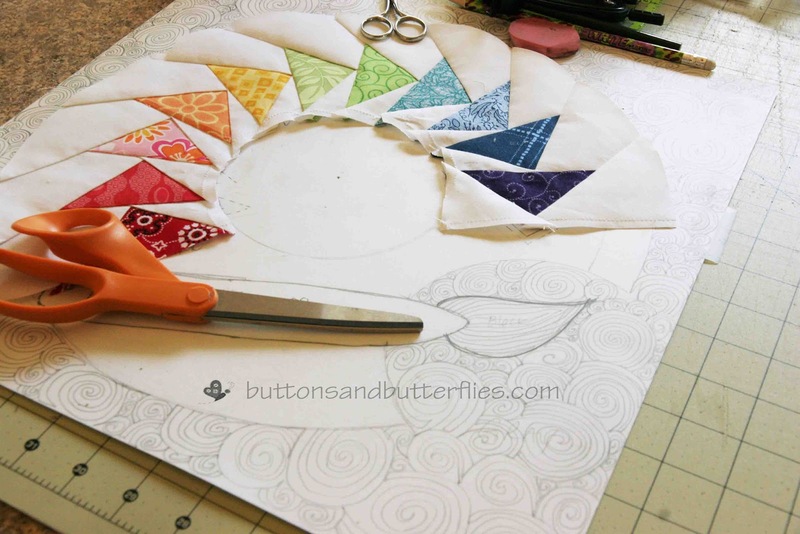 Whether it is my almost finished quilt top or at least one of my Merry, Merry Snowman blocks...I WILL get one done. Loving the Circle of Geese - that'll make a great mini! Your mini is fantastic and I love the quilting you have planned! Ooh, is that supposed to be a paint palette?! Love it! Yes! At least MY interpretation ;)! I love the paint palette. What a great idea. How fun to be taking Angela's class. :D And she's sure to love that circle of geese palette -it's too stinkin' cool! I don't know how you do all that you do. Your swap project looks great. I can't wait to see what you learn in your 'class'. I love the paint palette. What a fun idea, and hope you enjoy your class. I love learning new things - it keeps quilting fresh and exciting. Those classes sound challenging and I love your block. I'm loving your name game project! That's going to be a stunner. I just ordered Angela's book. Can't wait to read it. That's going to be awesome!! I love, love, love how it's turning out!!! I am so glad you went with the geese! I love it. :) Can't wait to see your quilted doodles. can't wait to see the Merry Merry Snowmen!